1981: The fall of France to Islam, the coming US civil wars, invasion of the US by China, America destroyed by elementary-weapons/nature-catastrophe-weapons, etc. 1987: The environmental crisis, the coming global economic collapse, eruption of Vesuvius, the destruction of the WTC by terrorists, the coming US civil wars, war with Russia, climate change, the fires and hurricanes, Islamist terrorism, the dangers of AI and computer-controlled weapons, etc. 2017: Coming global financial collapse, genocide plans of the elites, the USA and its rulers imperiled, the government attacking the US population with military and police, etc. And there are of course many more examples to be found in all of the prophecies and predictions and things like Contact 251, which deals with the far distant past, as well as the as yet unarrived future. You get the idea. Many people often can’t, or won’t, grasp the reality of what is occurring. They haven’t been taught, or learned, about the immutable, universal law of…cause and effect. What is yet to come will be equally incomprehensible to them. Truthfully, while some of us might see and understand howsuch things are the result of eons of bad choices and manmade causes, we will all still have to deal with them. Again, books like The Might of the Thoughts and The Way to Live are highly recommended. The recent massacre in the Los Angeles area, and other terror attacks in the US, remind us that Meier gave the real – and staggering – numbers of lone wolves/perpetrators already in the US. The Thousand Oaks shooter was also a former…machine gunner,a perfect role for a psychopath in the military who can – personally, not drone-remotely – kill unknown-to-him people in large numbers. An already dehumanized, mentally and psychologically damaged human being, this product of the American military and its policies just as coldly slew a dozen of his fellow human beings/citizens…before killing himself. And let’s remember what Meier also said about how many assassination attempts, between 2001 and 2015, led back to the federal authorities. Life is fragile. Even under the best of conditions we are far more vulnerable than we like to admit; we don’t like to be reminded of our mortality. And with all forms of media, entertainment, politics, religion and education, directing us away from introspection and learning about and understanding the real laws of Creation and the universe, we instead trivialize and ignore the most important aspects of our own lives. Starting at about the 22:55-minute mark in a recent Dutchsinse video, we get a glimpse of the magnitude of the oil-drilling operations in Texas, the consequences of which are to contribute to the earthquake activity that, eventually, causes the earth to collapse in on itself. 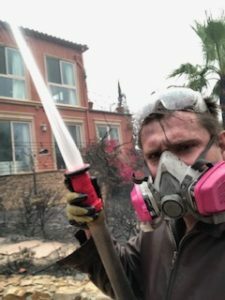 And at around 44 minutes, there’s interesting conjecture about the drilling operations in the L.A. area…and the recent huge fires only 10 miles away. Meier’s information about the earthquake-oil connection goes back…42 years. Maybe some of you’d like to try to wake Dutch up to it. With the focus on specialization, schools and universities turn out vast numbers of non, truly scientifically minded scientists who, while they can perform well in a narrowly focused context, suffer from an epidemic of overall intellectual and scientific myopia and…curiositylessness. I’ve gotten many responses to my outreach to scientists that essentially say, “That’s not my field of study, expertise, etc.” Right, the mysteries of life and the universe aren’t their fields of study, only what they spent a small fortune focusing on. In pursuit of degrees, employment, funding, tenure, etc. And once they’ve attained some level of comfort in their targeted field, they don’t want to be concerned with, or even informed about, anything outside of it, even if it’s the most important information, evidence, discovery, etc., in human history. Oh, please, will one of you geniuses prove me wrong? A far more advanced human race has long mastered elements of science and technology that would indeed seem to us like the proverbial “magic” in Arthur C. Clarke’s Third Law: Any sufficiently advanced technology is indistinguishable from magic. Through Billy Meier, these people, the Plejaren, have made available to us the wisdom of their own experience, gained over a very long period of their own evolution, as well as helping to provide us with the beyond-ancient spiritual teaching of the Creation. The people were warned. And did they listen…as the time fulfills? IIMPORTANT: TAKE ACTION AGAINST 5G! It’s unfortunate with what’s going on in California with the fires. Hopefully all the people will come together to DILIGENTLY rebuild and to resolution(s) really their shouldn’t be any stagnations/ or stinginess with approvals with either insurance pertinences or rebuilding home construction or any type of relief whatsoever. Honestly, Luis, I don’t think that they should rebuild there in the fire-prone areas! People should take their insurance money and relocate to a safer area. These territories are too dry, and these fires are going to be a recurring problem in the years to come. It doesn’t make sense to re-build cities in a fire-prone part of the country. Also, their building materials seem prone to burning at a very hot temperature, so they need to change that for the new homes. Another aspect is that all these houses are hooked up to natural gas lines. That needs to change too, as the gas certainly added fuel to the fires! 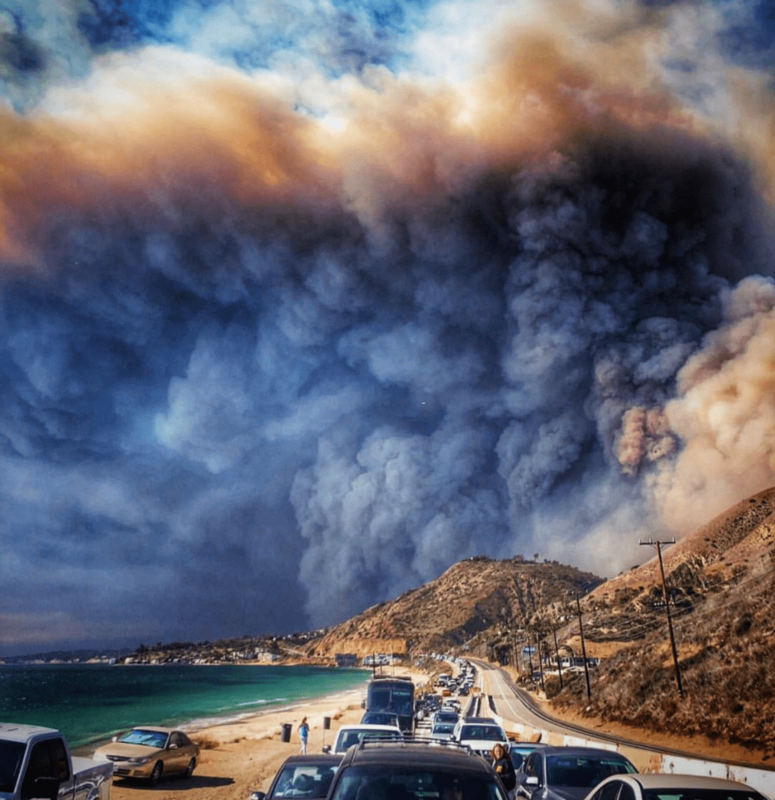 I grieve for the good people who have lost everything, even their lives, in these terrible fires! The building of homes in these high risk fire areas has been an increasing problem over the years. A lot of the insurance companies won’t even insure homes in those areas anymore, or they insure them for an extremely high premium. This all leads back to the overpopulation crisis which has led to insanely high rents and home costs in California. Another issue that comes up when these large fires happen is the cost of labor and materials to rebuild the homes goes through the roof. The contractors become extremely greedy and charge nearly double the going rate to rebuild. Supply and demand allows them to do this, but this leaves the homeowner with the bill because they don’t have enough insurance to cover the cost to rebuild. We’ve seen the rates go from $300 a square foot to over $500 in some areas. The insurance companies are just flat out refusing to cover homes in these high risk fire zones. We haven’t had much rain in years so building in these areas is a build at your own risk type of scenario. The whole thing has become completely unmanageable. Well this just my opinion, IF people after experiencing the loss their homes are insistent on rebuilding in the same areas within California then at the least they should take into consideration is rebuilding exteriors of their properties with similar material used in refractory bricks (fire bricks) and foundation suspension for shock absorbing safety from earthquakes. It’s very hard to imagined what is happening in regards to the destruction of planet earth from within. I don’t think any form of foundation will withstand an earth quake with a high magnitude. Most human beings have a very short term memory. They will rebuild again and again without an inkling of the real threat. It reminds me of the recent earthquake in Indonesia where the whole town sank under the earth whereby the soil turned into a mud. A lot of people perished and the last news I read, the authorities could not even bring their equipment because the mud will swallow it. The planet earth is now fighting back against humanity’s irrationality. Dolly, This makes me wonder what will happen next after the fires in California. Mudslides there too? :-((( If you live in LA how in hell are you going to get from one place to another without Highway 101 which is all gone? Geeze? Hi Terry, I will not be surprised if California will suddenly be inundated with heavy rains. With the forest now torched down by fires, mudslides is most probably will occur. This is really very sad because people whom I talk to about this has really no idea what’s the real cause of this catastrophic events. I might as well talk to the trees or dead wood! It’s such a lonely place to be at times when I cannot have a conversation that is stimulating to the mind. Here in Canada, we have all kinds of weather patterns from the Atlantic provinces all the way to Vancouver. In Alberta, it is freezing rain today, which means that the temperature will go down to -6°C, and driving can be treacherous. A few days before that, it was -20°C. Brrrr…. It’s amazing, the reactions I get from posting in comment sections on the stories of the fires in California. I post information regarding the law of cause and effect, and how overpopulation is the cause for so much of the misery we suffer, and so much damage that we cause. A few get it, but the vast majority simply hurl vitriol at me and my comments, calling me heartless, insensitive, and such, never even considering how if the population was not so out of control, there would be no need to alter restrictions on building homes in the middle of what has for generations been wilderness and forest lands. Even the information that has come out about PG&E admitting to sparks emitting from transformers in the area around Paradise just days before the fire broke out has somehow been considered the cause, rather than for people to consider PG&E would not have needed power lines there if it were still uninhabited by human presence. It’s as though nothing beyond immediate surface is necessary to assign blame, as nobody wants to consider the ur, ur cause for these effects. Nothing like screaming into the mirror and blaming the noise on your neighbor after all. The hatred online is nothing short of horrendous. It simply amazes me how, in one generation, we’ve gone from independent, critical thinking and hard working, to entitled, illogical and lazy social justice warriors. The lack of personal responsibility, initiative and human ingenuity is off the charts. I just can’t fathom the mindset of these super snowflakes. If you say the problem is overpopulation, they immediately think you want to genocide half the population or deport all the immigrants. I don’t care what these crazed maniacs say anymore. Every single major problem in the world today leads back to overpopulation and globalization. When those two things are stopped and resolved, things will slowly start to get better for all human beings on Earth. Power lines above ground can cause breast cancer so the electric power companies need to bury power lines underground not above ground. I heard this years ago on the local news when women living on Long Island were coming down with breast cancer due to electric power lines above the ground. There were clusters of women on Long Island coming down with breast cancer due to the above mentioned above ground power lines. Yesterday I got mail from my electric company, it offered to swap my smart meter out for the original meter. However I would have to pay $75 then $17.50 every month thereafter. So I’m guessing they know that EMF is not healthy and as usual if something is healthy it will cost more. I hope the emf ,rayguard protection thing I bought will help because I really can’t afford the extra cost on my electric bill. Hmm? When is enough ,enough? Greed is out of control and it just makes me ill !! Please contact http://www.neutrawise.com for updated information on the RayGuard products. Next PostNext November REALLY Special Offer!